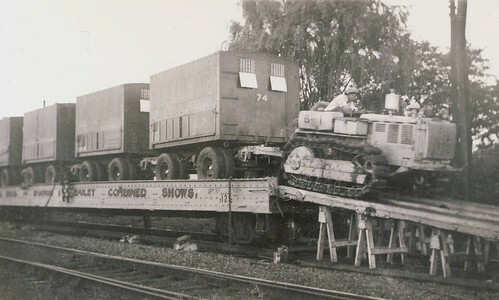 RB1949, originally uploaded by bucklesw1. 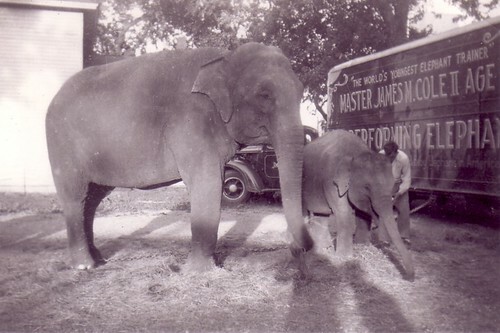 Here are three photos of the Ringling menagerie in 1941 and 1949. 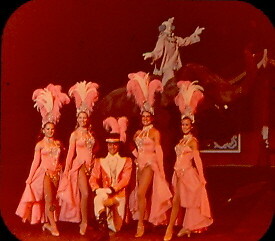 They will illustrate the comments made by Bob Sabia and Richard Reynolds concerning the difference of the menagerie decor for these years. 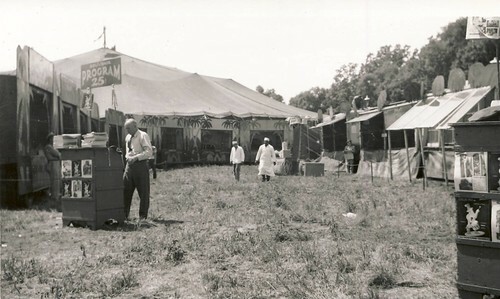 The 1949 photo showing the "jungle " theme is actually a Paramount Studios photo. 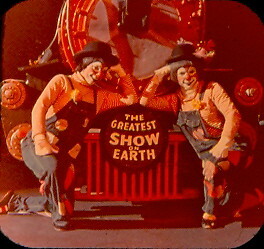 It was taken in 1949 when Demille was on the show for several weeks doing research for "The Greatest Show On Earth". scan0027, originally uploaded by bucklesw1. 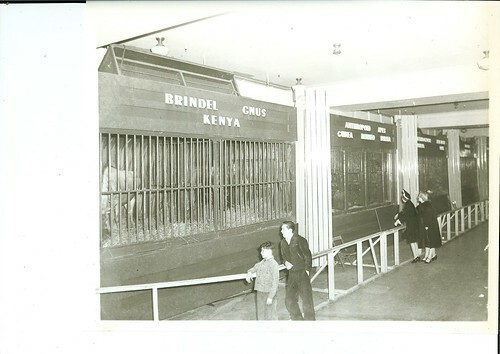 The 1941 photos are in Madison Square Garden and show how the panels were opened and made an unbroken display, much like a zoo enclosure. scan0028, originally uploaded by bucklesw1. Al G, originally uploaded by bucklesw1. 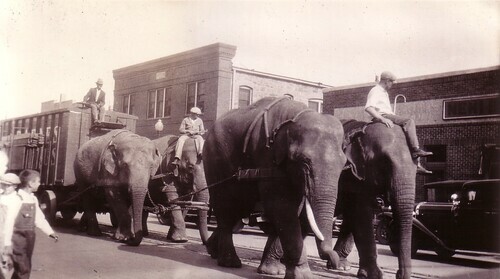 The lead team is "Vance" and "Ruth" bringing a load from the train with Al G. Barnes about 1934. #1a Dailey Bros, originally uploaded by bucklesw1. "Butch" and the Indian that came with him." "Dad White's writing above (age 92). 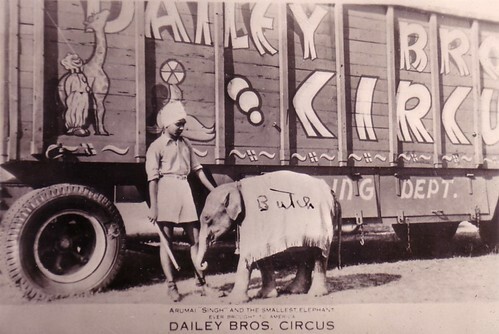 Dailey Bros. sent an elephant to the GOP Convention. I forgot the name of the President. 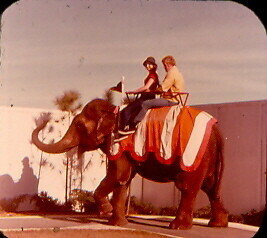 The elephant was a bit larger than "Butch". 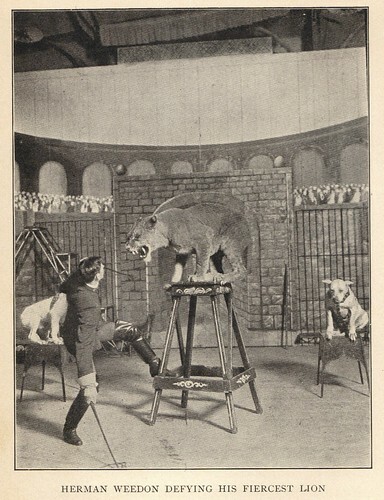 #1-Billy Sunday, originally uploaded by bucklesw1. Verna Lindermann and Leroy Schrader with "Billy Sunday". #2 no info, originally uploaded by bucklesw1. Marvin 12-24-51 on back, originally uploaded by bucklesw1. 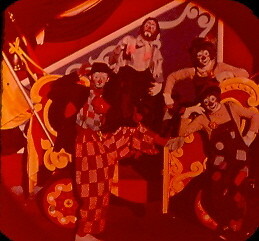 #3a Ringling '49, originally uploaded by bucklesw1. 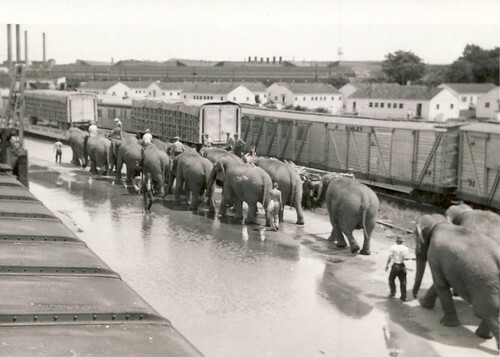 "Ringling Bros. elephants, Sioux Falls, S.D. August 25, 1949." 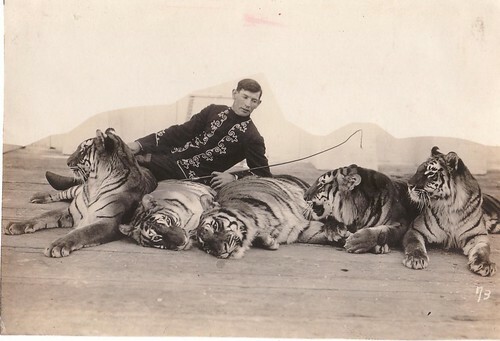 #2a Ringling, originally uploaded by bucklesw1. This date is incorrect, these three Africans arrived in 1936. 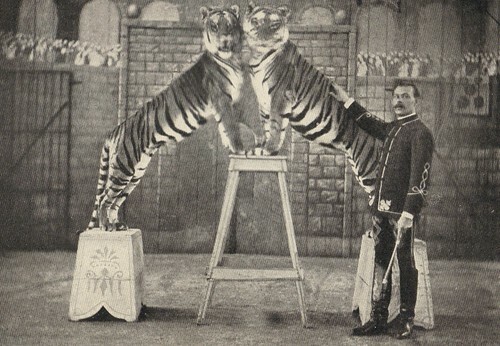 The male "Congo" died after the first season. Elephants, originally uploaded by bucklesw1. 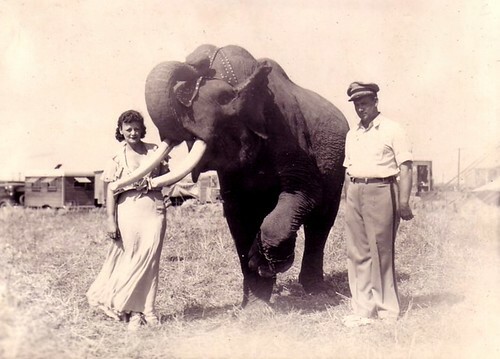 I came across this photo the other day, thought you might be able to date it from the African elephant. 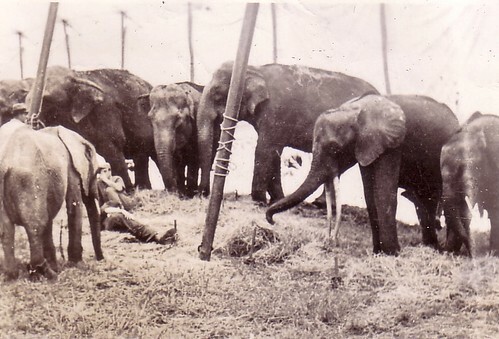 It appears they are awaiting to move into the menagerie tent when it is finished, still wearing the collar chains. Fantastic web site, keep up the good work! 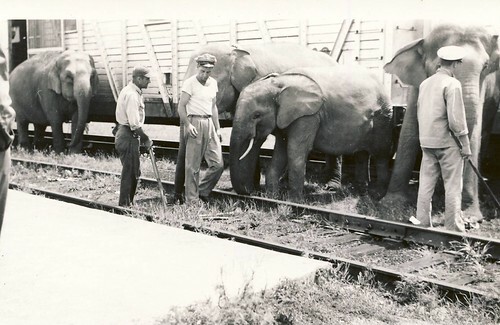 "These two Africans "Puqua" and "Sudan" imported to the Ringling Show in 1936 and I would say this photo taken the following year. 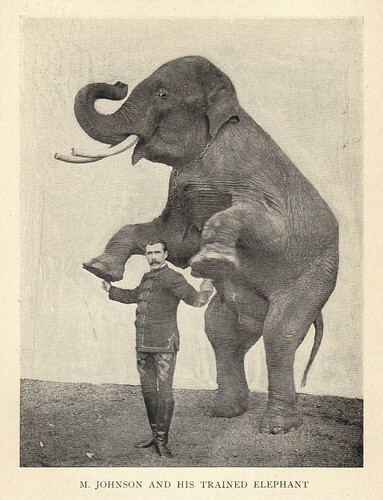 "Barnum Queen" is the anchor elephant. 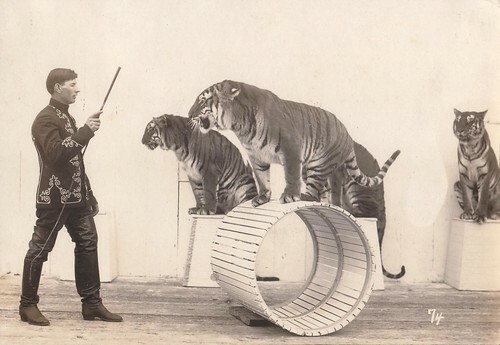 She was imported to Barnum & Bailey about 1894 and later made the 5 year European Tour with that show. 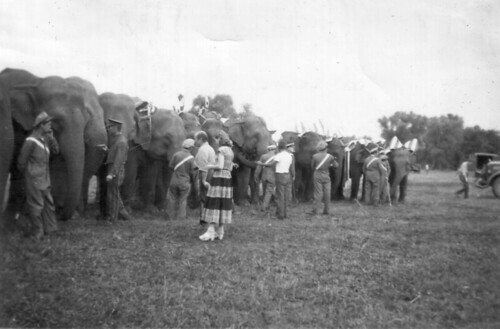 After WW1 she and three more elephants were sold to the Hagenbeck Zoo to replenish their supply of animals and ironically made a fifth crossing of the Atlantic Ocean when purchased by Charlie Sparks in 1923.
scan0004, originally uploaded by bucklesw1. Linus poster, originally uploaded by bucklesw1. 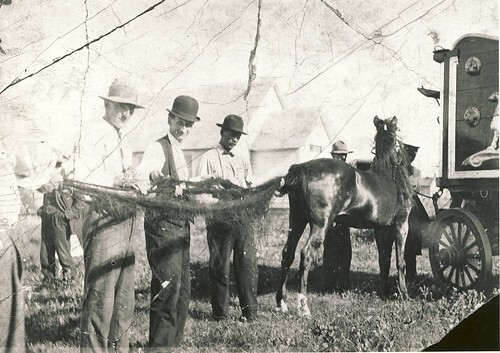 My great grandfather Silas Bibby (Beebe) was with Bostocks. He left the show when they were in Melbourne Australia. 1904-1906? 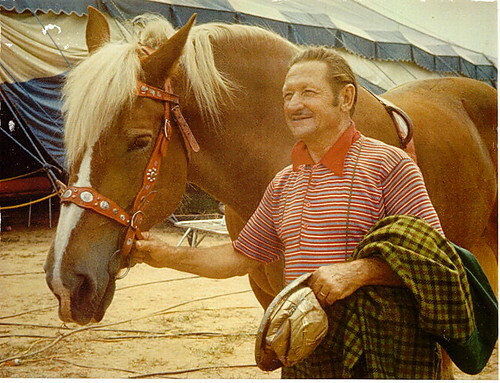 He had a horse with the show called Linus the long haired horse. 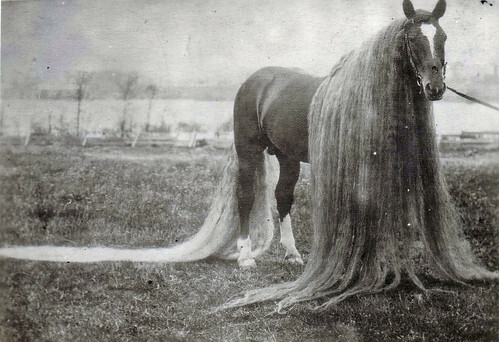 I think the horse came from America. I was wondering if you or your readers may have any info or photos to share here. The photo was taken in Melbourne. Silas Bibby, originally uploaded by bucklesw1. 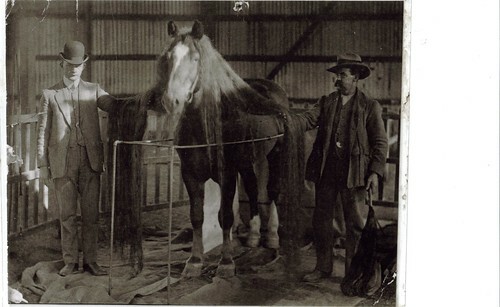 My Grandfather Burt Bibby and Great Grandfather Silas Bibby with Linus the long haired horse. SAVE2292, originally uploaded by bucklesw1. Hi Gary, this is obviously the same picture as yours above. 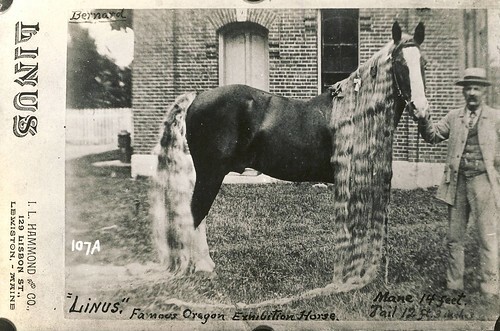 "Linus" horse with long mane and tail at Pan-American Exposition- Buffalo, N.Y. 1901. 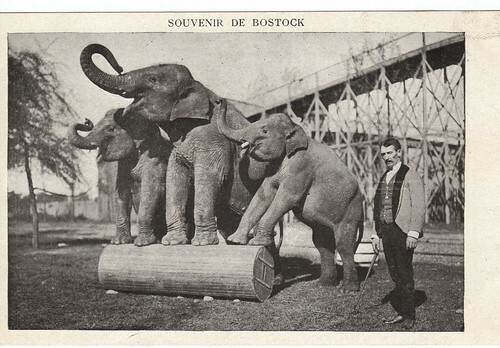 Sold to Frank E. Bostock and taken to England. Scan000010081, originally uploaded by bucklesw1. This looks to be a post card, the photographer's address at left is in Lewiston, Maine but no date. Scan000010082, originally uploaded by bucklesw1. "W.H. 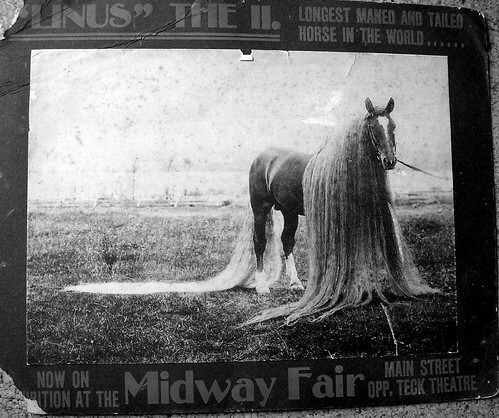 Coulter Famous Railroad Show 1911. 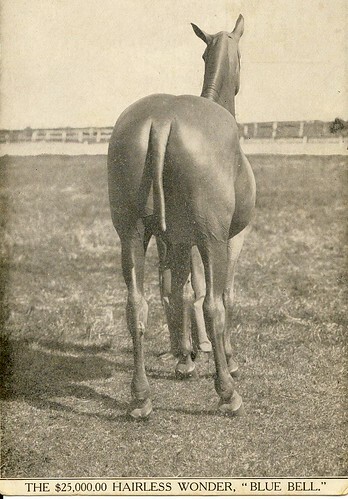 Long tailed horse. Man 3rd from left is Jas. Irwin (or Irving) well known Boss Hostler and uncle of the late Art Eldridge." Scan000010083, originally uploaded by bucklesw1. "The $25,000 Hairless Wonder, Blue Bell". Scan000010084, originally uploaded by bucklesw1. 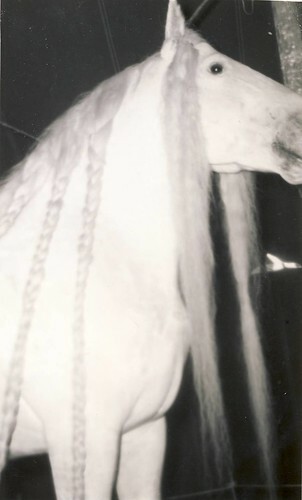 "Imperial Prince" long maned mounted horse. I don't see a rider so it must mean he is stuffed. Scan000010085, originally uploaded by bucklesw1. "Shannon" and family have been on vacation for over a week now, visiting his inlaws up in Kentucky. On the way he visited his buddy Randy Peterson in Memphis who is in charge of the three C&B elephants with Universoul. They should be back any time since Pat and Ryan have to be in school Monday. The reason I bring this up is because I have been at the mercy of the computer all this time and so far so good. Maybe the machine has turned over a new leaf." 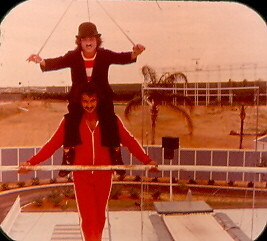 Circus World 1976, originally uploaded by bucklesw1. Many people in the industry know me from different times in my career. From the “Pirates of the Sky”, the “Centrons”, from my twenty three year marriage to Christine Fossett, and from my past ten years with Cirque du Soleil’s “O” show at the Bellagio. 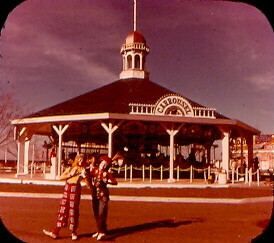 I wonder how many of you remember me from the “Jocko” years. 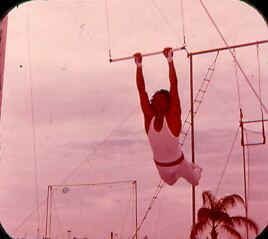 I’m attaching a photo of me in the long mount at Circus World in 1976. I’m on the left at age nineteen. Kenneth Feld and Ringling Brothers have filed a counter suit to the one brought about by the ASPCA and other animal rights groups against Ringling Brothers. In their suit, Ringling Brothers is charging the animal rights groups with collusion, fraud and bribery. All violations under the Federal RICO Act. bostock souv, originally uploaded by bucklesw1. Here is the postcard I mentioned earlier this week. I am also including a few from Frank Bostock's 1904 book. "This picture corresponds with an earlier unidentified picture I submitted and all I can say is, I'm glad I never had to carry a prop like that from town to town. 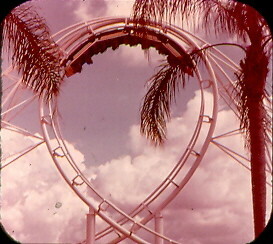 Joey, my eMail address is: bucklesw@tampabay.rr.com." bostock ele2 - Copy, originally uploaded by bucklesw1. 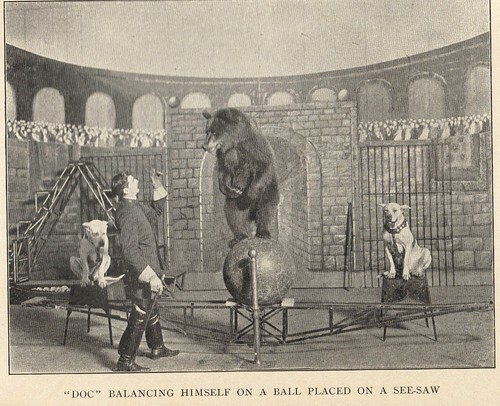 bostock bear, originally uploaded by bucklesw1. 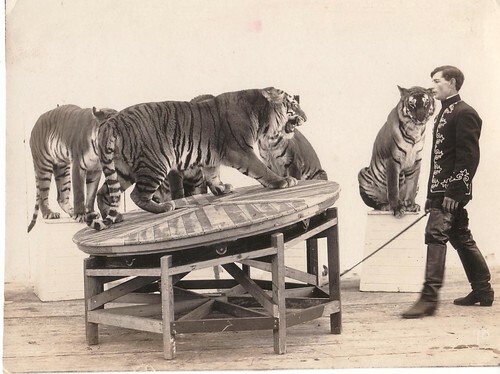 bostock tiger, originally uploaded by bucklesw1. bostock lion, originally uploaded by bucklesw1. MAIL0384, originally uploaded by bucklesw1. I ran these last 4 pictures several years ago to considerable response. 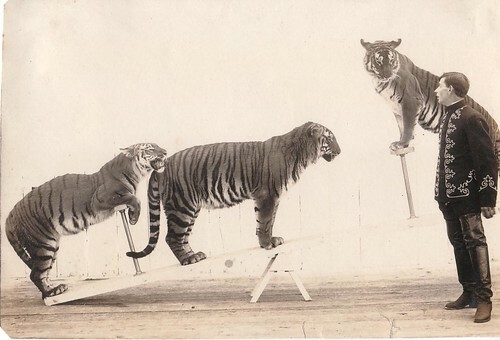 They were identified as having been taken at the Selig Zoo in Los Angeles. I received an eMail from Mr. Weedon's grand daughter asking for more information and if she still visits the blog, this connection with Bostock might answer some of her questions. MAIL0383, originally uploaded by bucklesw1. MAIL0381, originally uploaded by bucklesw1. MAIL0382, originally uploaded by bucklesw1. con colleano, originally uploaded by bucklesw1. 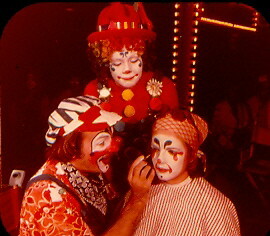 wayne larey wirth's circus, originally uploaded by bucklesw1. 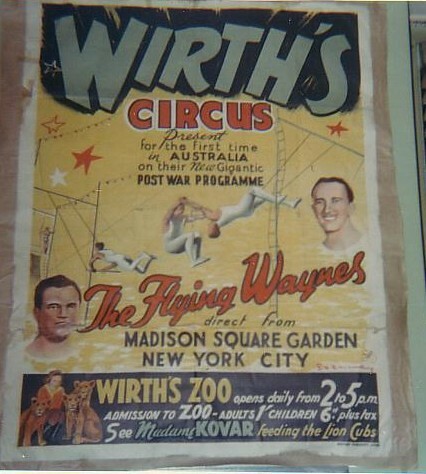 This is a poster with Wayne Larey who was with Wirth's in 1939 from the USA. stan gill sergio lorne green, originally uploaded by bucklesw1. My good friend Stanley Gill, Sergio, TV star the late Lorne Green, Mary Gill who now lives on the gold coast Australia, do not know the name of the catcher far right. CW-1, originally uploaded by bucklesw1. 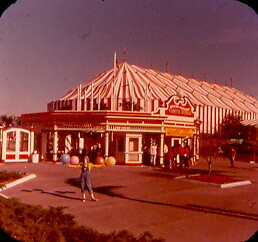 Today’s photos from Circus World motivated me to scan View-Master’s Circus World packet. 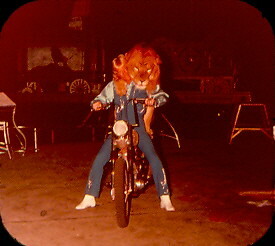 It is copyright 1977, so these photos were either taken in 1976 or 1977. Ironically, 1977 was also the year that View-Master stopped using Kodachrome and switched over to using color print film, thus assuring that the colors in all subsequent View-Master reels will eventually fade away to red. 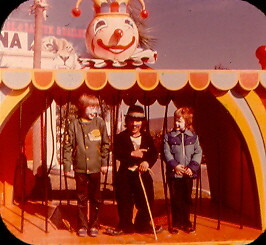 Although these photos are faded too, perhaps Shannon can reach into his bag of digital magic tricks and restore them. 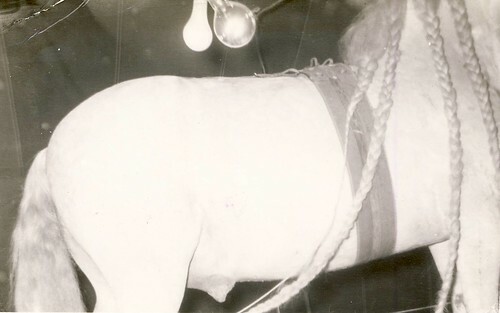 Besides yourself, all the Circus World alumni who are regular contributors to the blog should be able to provide the rest of us with full particulars as to who and what is shown in these photos. CW2, originally uploaded by bucklesw1. CW4, originally uploaded by bucklesw1. CW10, originally uploaded by bucklesw1. CW11, originally uploaded by bucklesw1. CW20, originally uploaded by bucklesw1. CW8, originally uploaded by bucklesw1. CW15, originally uploaded by bucklesw1. CW17, originally uploaded by bucklesw1. CW14, originally uploaded by bucklesw1. CW19, originally uploaded by bucklesw1. CW7, originally uploaded by bucklesw1. CW18, originally uploaded by bucklesw1. Scan000010072, originally uploaded by bucklesw1. 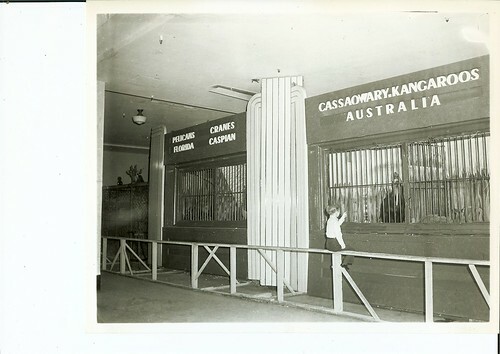 Gone were the days of the beautifully scrolled cages. Here we see they have been replaced by WW2 surplus ammunition carriers. Scan000010073, originally uploaded by bucklesw1. Joe Grassi at left, I remember him, a tough little guy. 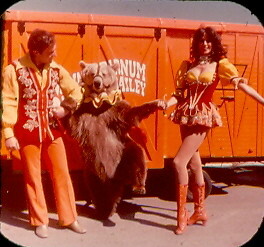 He didn't get along with Smokey and when I visited the show in 1955 he had moved over to ringstock. The African is the often mentioned "Emily". Scan000010074, originally uploaded by bucklesw1. 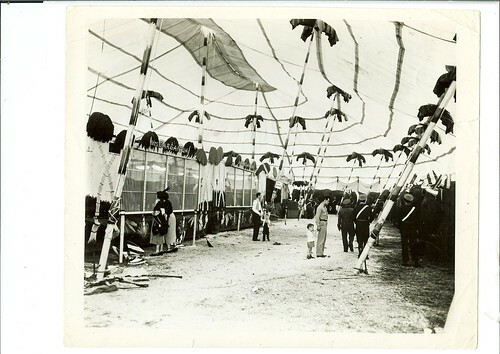 History tells us that 1948 was the last season the Ringling Show made money under canvas. 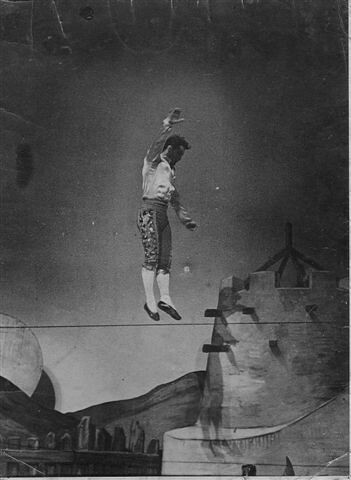 Art Concello was already starting to trim things down. 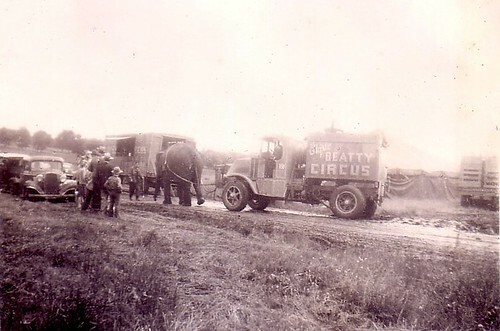 There were 30 elephants in this herd (6 fewer then the year before) and by 1951, not only was the herd down to 25 (only 2 cars) but the menagerie had been moved into the front of the big top. 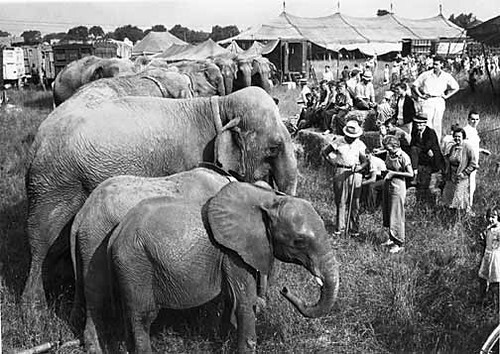 The elephant herd was vastly enlarged for the final two seasons (1955-56) but by then the die was cast. Scan000010075, originally uploaded by bucklesw1. 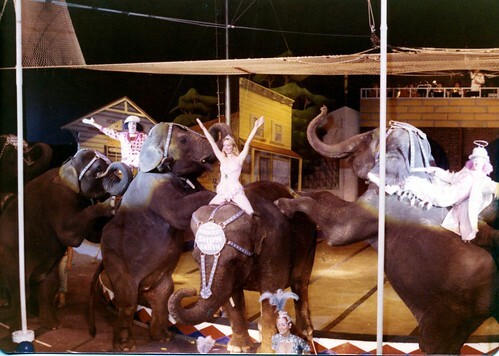 An open air menagerie means either the show had a late arrival or a tight lot. Not only was gasoline cheaper but programs only cost a quarter.